Have you ever experienced a snow squall? Chances are if you live in a place that regularly gets snow, you’ve probably been through a snow squall or two. A snow squall (also known as a whiteout) is similar to a summer thunderstorm squall. It’s a fast-moving storm with strong winds and moderate to heavy precipitation — but instead of getting a heavy burst of rain or hail, you get snow! Because snow squalls can deliver some moderately heavy snowfall with significantly reduced visibility and gusty winds, it’s particularly dangerous if you’re driving or you’re in a physically vulnerable spot outdoors when a snow squall occurs. That’s why you need to know what snow squalls are and how to be prepared for these hazardous snow storms. A snow squall is a fast-moving line of snow that dashes in and dashes out — often in the span of just a few minutes. Most snow squalls are short-lived, fast-moving storms. However, if multiple snow bands come through in relatively quick succession, then the blizzard-like conditions can persist for hours at a time. Quick, dramatic reductions in visibility and icy conditions on the road can lead to high-speed accidents on roadways — which sadly means injuries and deaths, long delays, and temporary road closures. A snow squall event is likely to cause the closure of major roads and highways — leaving motorists stranded and unable to get to work or virtually anywhere else. These snow storms typically cause increased response times for emergency responders — which could also lead to a whole different and tragic set of problems. If you happen to get caught in a snow squall while trying to partake in an outdoor recreational activity (there are, for better or worse, many people who hike, bike, and go on adventure trips in freezing or near-freezing weather), you are likely to experience several potentially dangerous challenges. 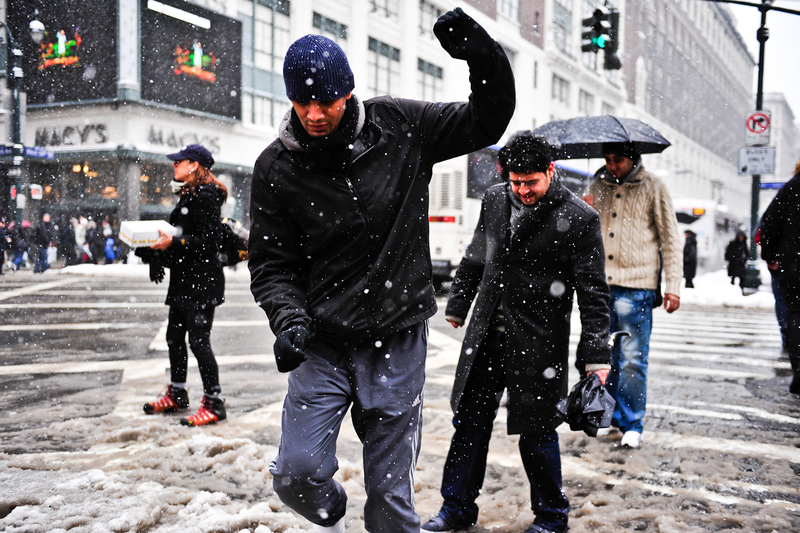 Falls on slick sidewalks, slippery slopes, and other icy surfaces can cause serious injuries… or worse. And that means trips to the hospital, which may be seriously delayed with the passage of a snow squall due to the road hazards mentioned above. A snow squall can occur at any time of the day — but they’re especially hazardous during rush hour periods of the day, when motorists are packing the roads on their way to work in the morning or home from work in the evening. If you know a snow squall is on its way, be prepared to change your travel plans! If you can safely leave for your destination early, do that to avoid the ice that may form during the storm and stick around for a period afterward. But, if it’s safer for you to leave later, that’s what you should do. Leave plenty of extra time to get to where you’re going — don’t rush! Prepare for reduced visibility and road hazards — because whiteout conditions can occur in a matter of seconds. 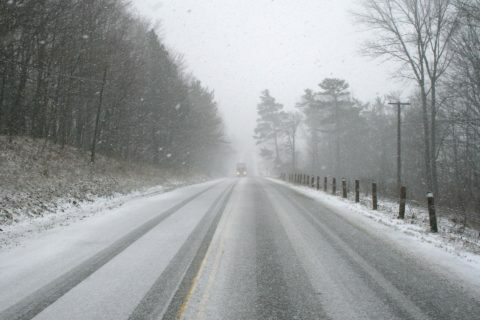 Eliminate any driving distractions while traveling in a snow squall — definitely put down the cell phone! Reduce your speed and turn on your headlights — to increase your visibility to others on the road. Avoid slamming on your brakes or making sudden accelerations — because those movements give you less of control of your vehicle on icy roads. Thundersnow: When, Where & Why Does It Happen?